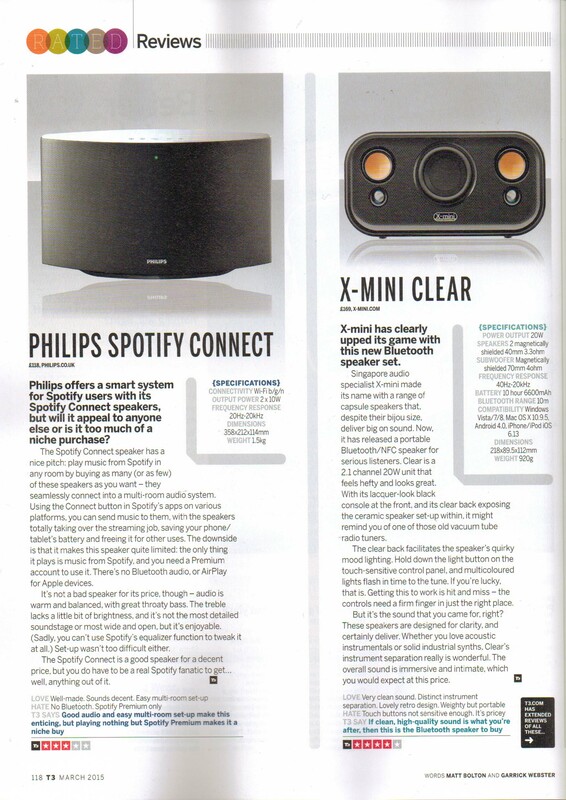 T3 Magazine gives fantastic review of new X-mini CLEAR! One of the world’s leading consumer tech magazines T3, awards the X-mini Clear speaker with a brilliant four star rating in both performance and appearance. T3 describes the X-mini speakers sound quality as ‘ immersive and intimate’ and tailored to suit all genres of music, from lovers of ‘acoustic instrumentals or solid industrial synths’. T3 also undeniably states that ‘the Clear’s instrument separation really is wonderful’.